If new speculation is anything to go by, then it looks as though iPhone X won’t be the only Apple device to support Face ID come 2018. 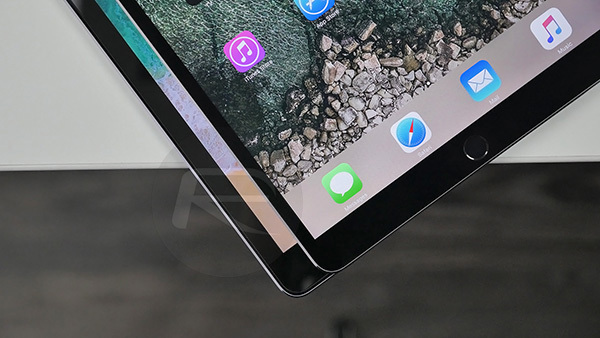 According to a new research note from KGI Securities analyst Ming-Chi Kuo, Apple has internal plans to equip next year’s iPad Pro models with TrueDepth camera hardware, which will bring Face ID functionality to Apple’s tablets for the first time. Apple recently introduced iPhone X at its September 12 event at the brand new Steve Jobs Theatre located within Apple Park. The introduction of the hardware also brought with it a move away from the physical Home button and Touch ID in favor of a new camera experience, which was capable of delivering an advanced facial recognition system. Apple calls this Face ID, with Ming-Chi Kuo of the belief that the same hardware will be introduced to iPad Pro to try and keep a consistent experience across the multiple devices. The analyst believes that this will be limited purely to the Pro models in order to offer a premium experience. One of the interesting aspects of this research note and prediction is that Kuo believes the emergence of TrueDepth and Face ID in iOS devices will also mean that manufacturers of Android-powered hardware will start to take the technology seriously. It’s only a matter of time until we start seeing Android hardware with this polished experience, but Kuo also believes that Apple’s TrueDepth hardware is approximately 2.5 years ahead of anything else on the market, and certainly ahead of anything happening in the Android world currently. iPhone X isn’t actually part of the real-world just yet, so Face ID is actually yet to be tried and tested with consumers. Only time will tell what they actually think of Apple’s facial detection implementation when the device starts shipping on November 3, but it’s likely fair to say that the above predictions will actually come true.